God forbid you ever try to shake a Kazakh's hand across the threshold of your home - you will be stared down like the inconsiderate animal that you are. Moving to Almaty, I learned that I had apparently been inviting bad fortune my entire life with my reckless ways. 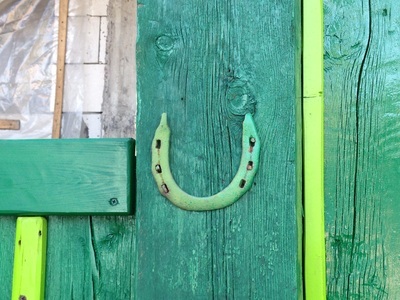 That handshake? 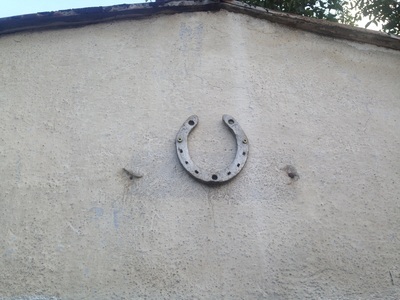 An inauspicious beginning. 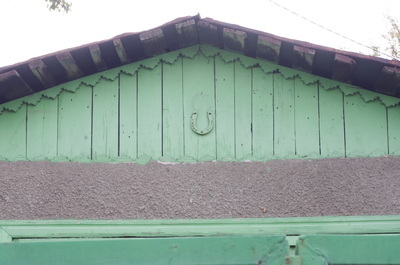 Whistling indoors? 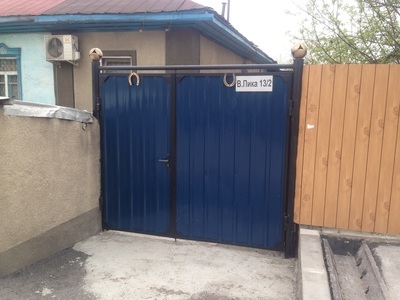 Russians will have you know it's absolutely forbidden. 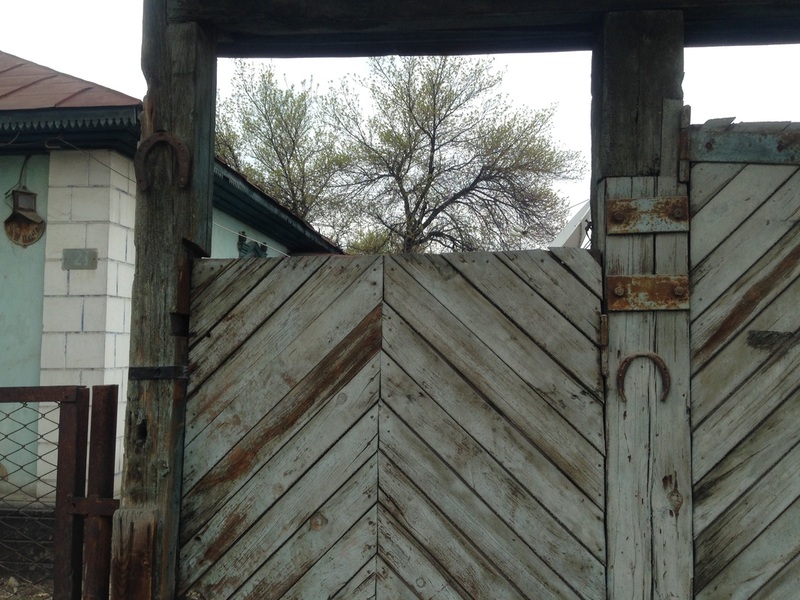 Not only do people knock on wood, but I've gotten texts that say "tfu tfu tfu", the sound of digital knuckles on a digital table. People here can be awfully superstitious, and there's very little eye rolling about it. 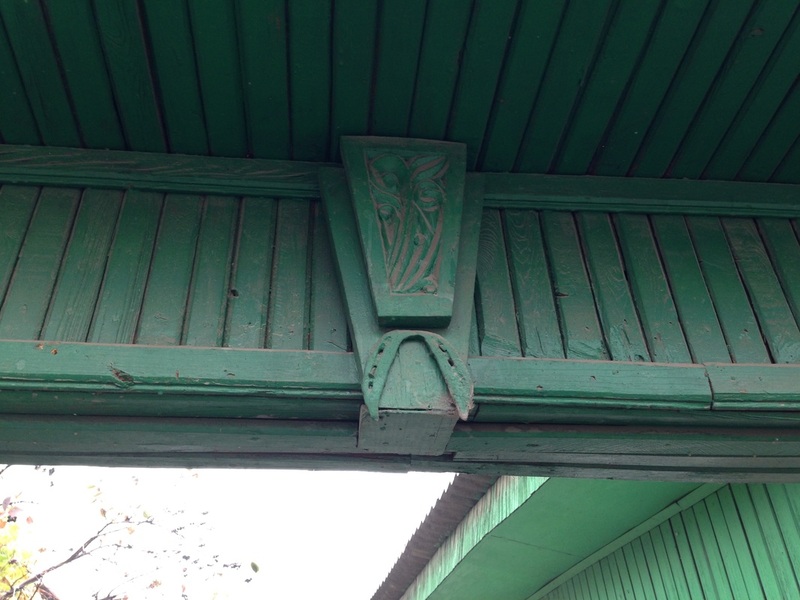 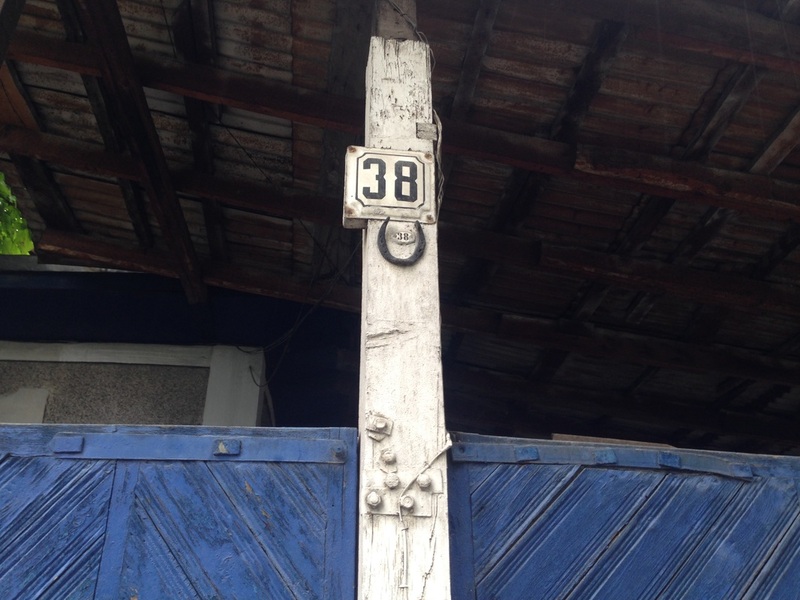 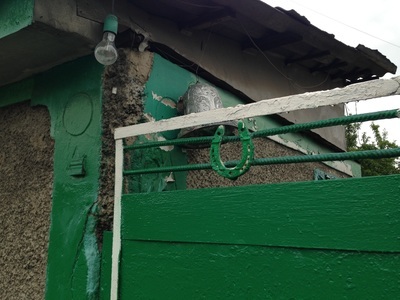 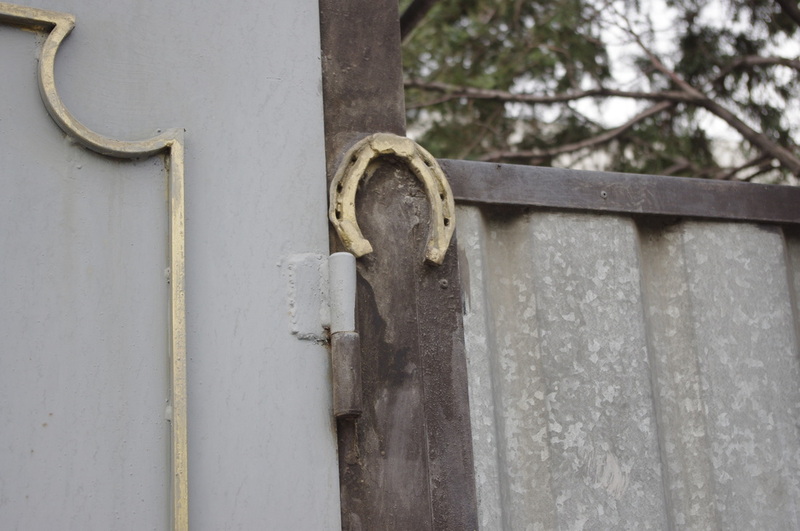 Superstition is on unabashed display, and you can see it when you're walking Almaty. 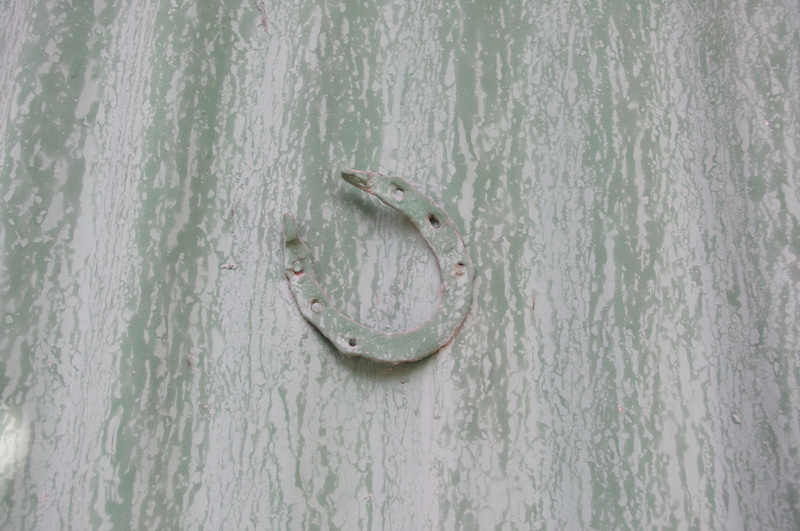 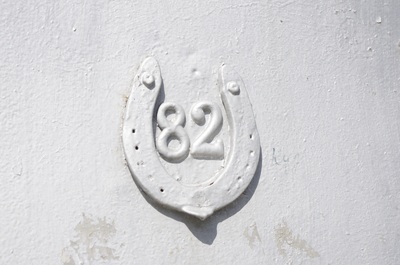 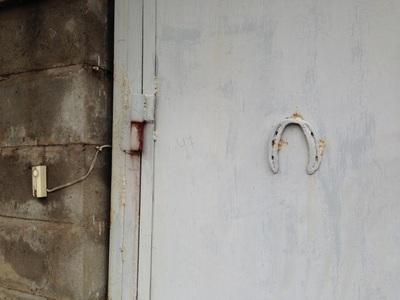 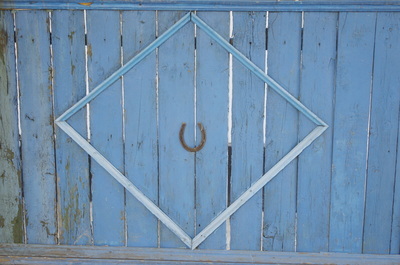 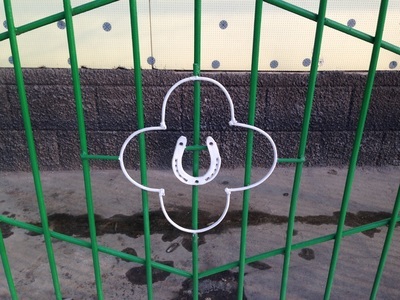 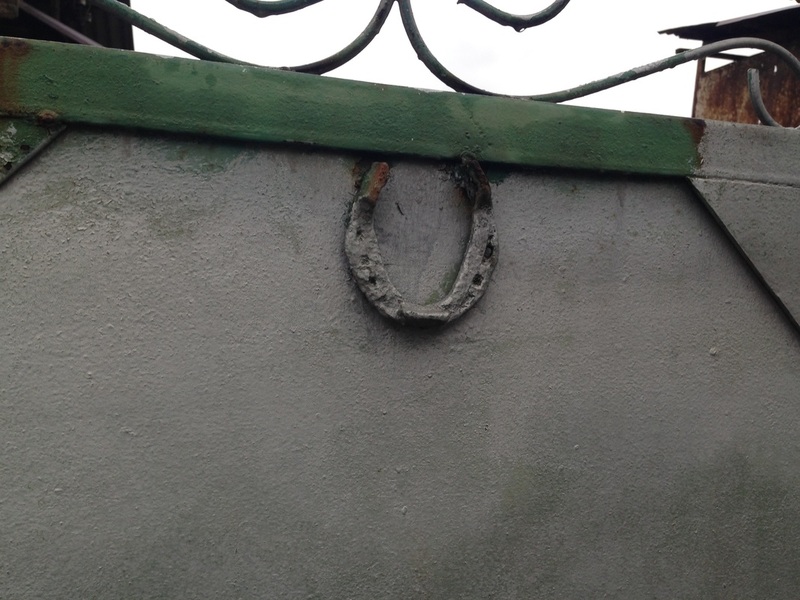 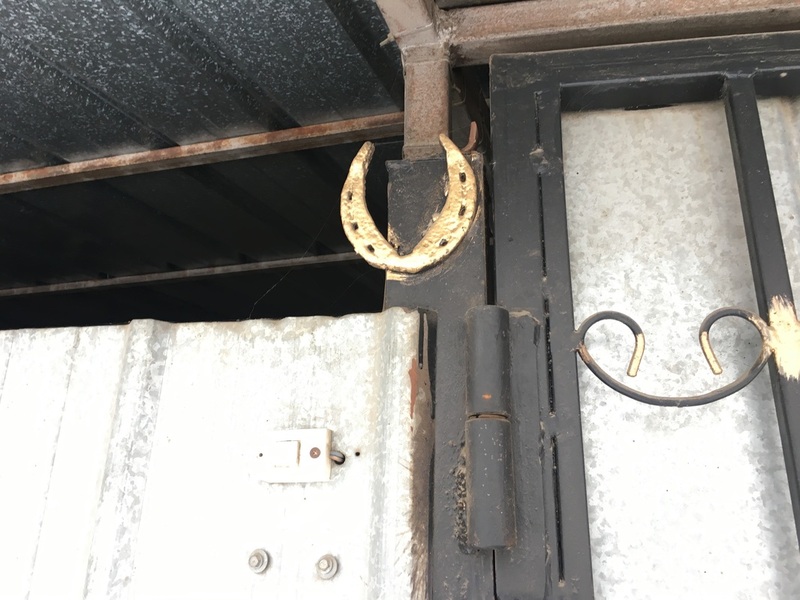 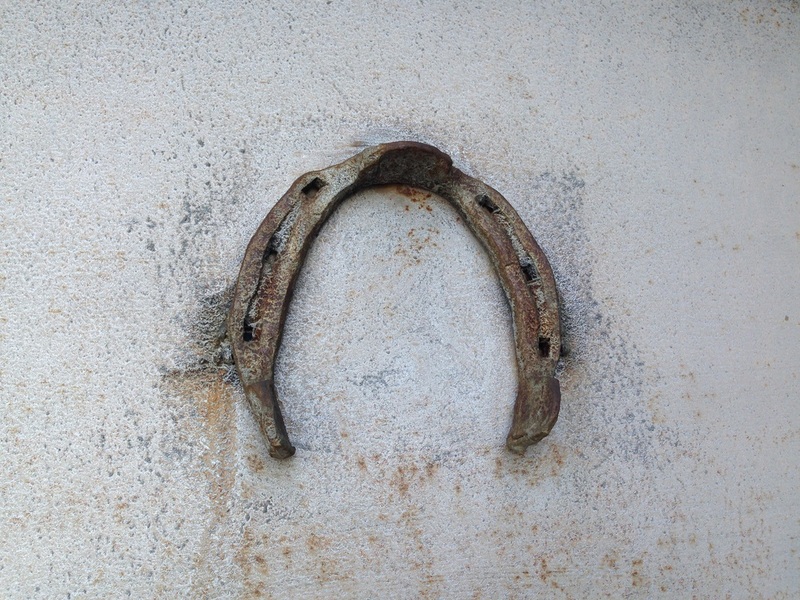 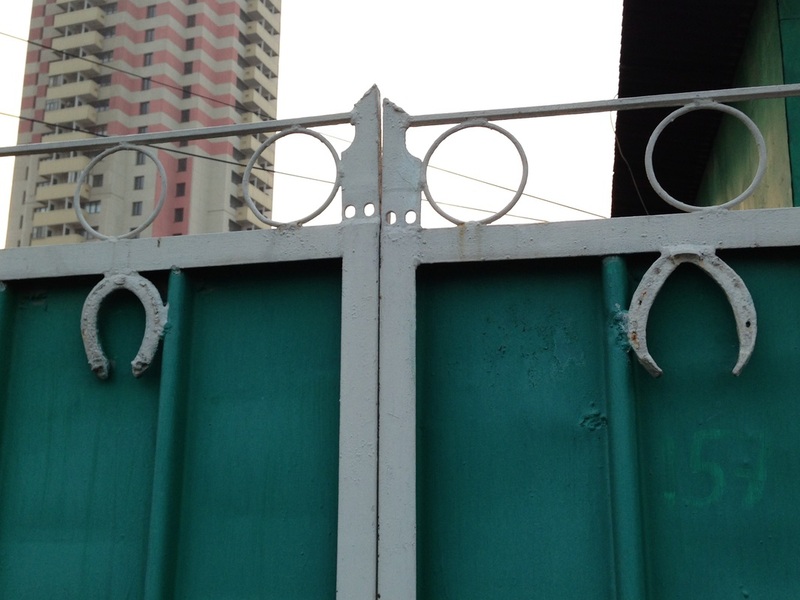 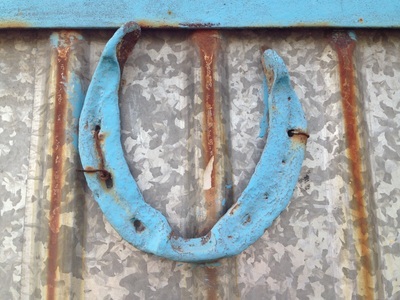 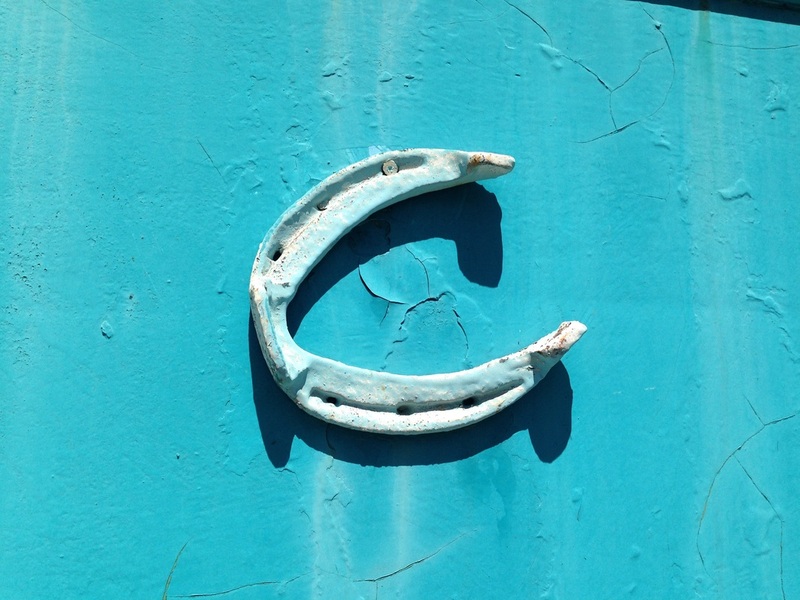 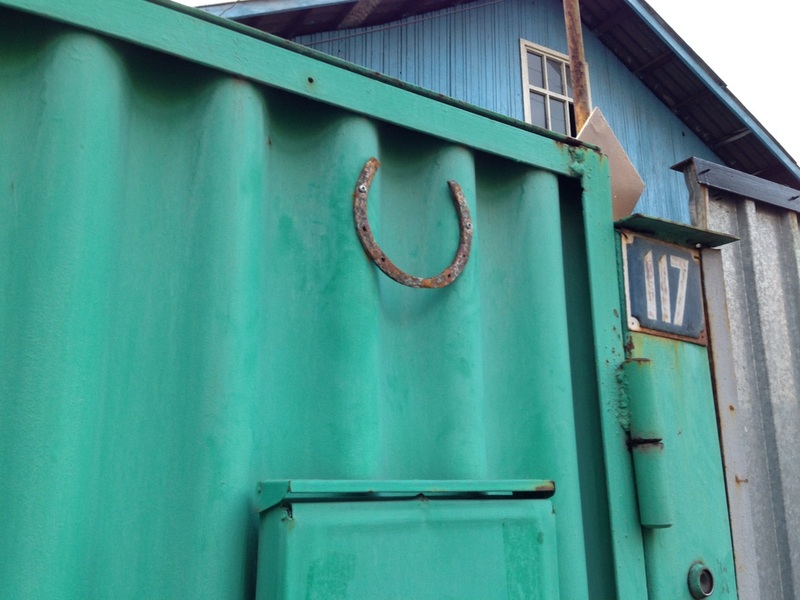 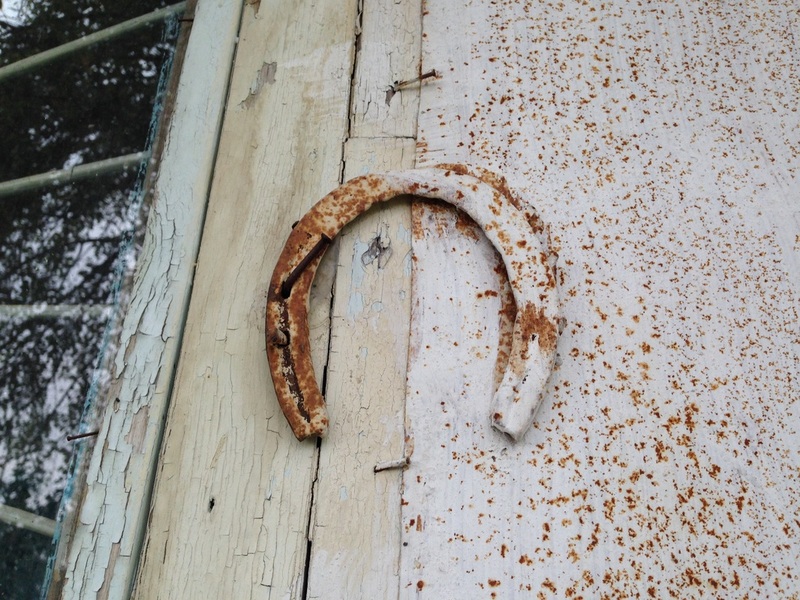 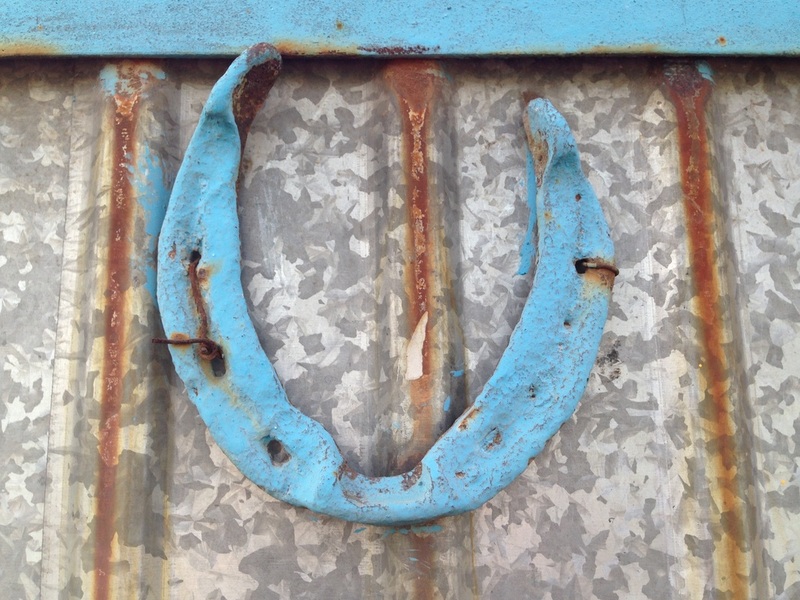 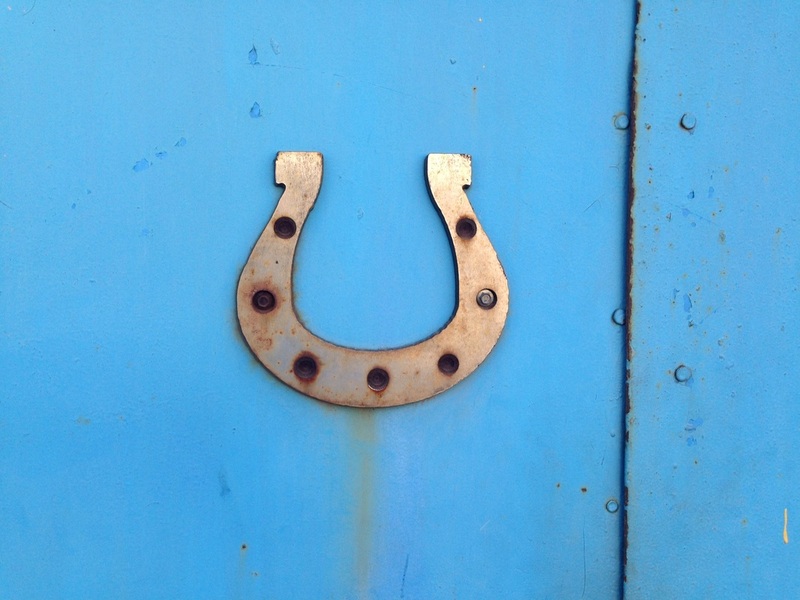 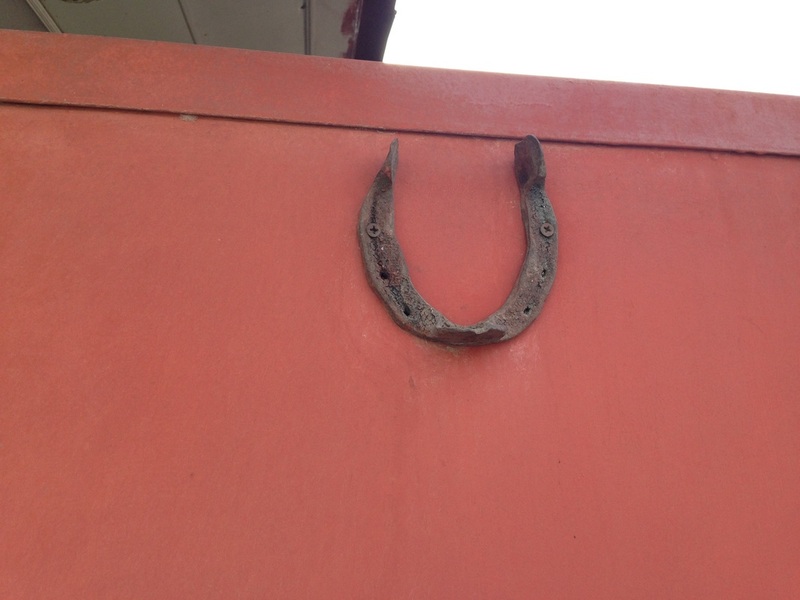 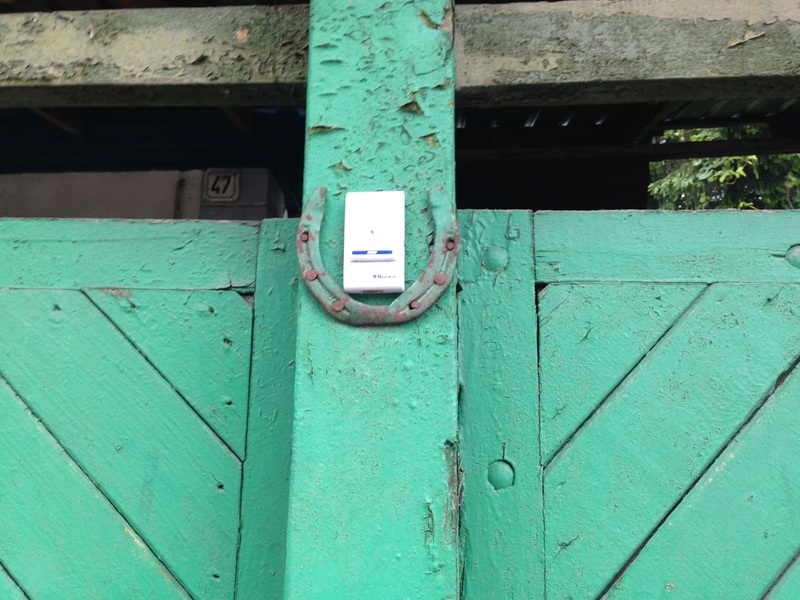 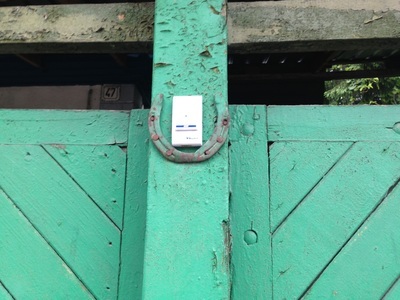 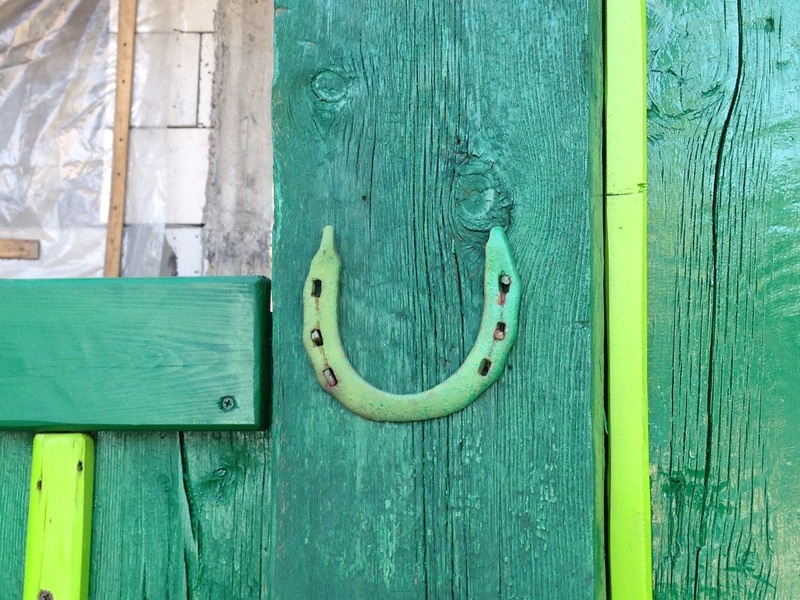 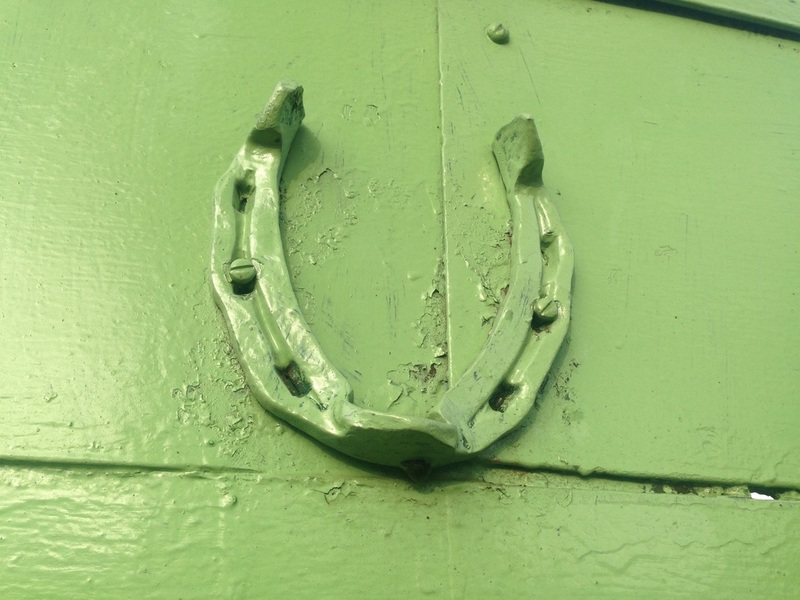 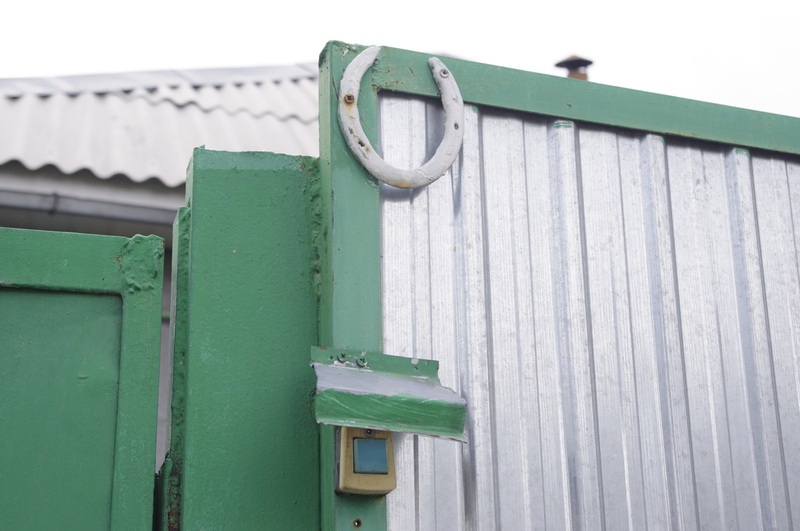 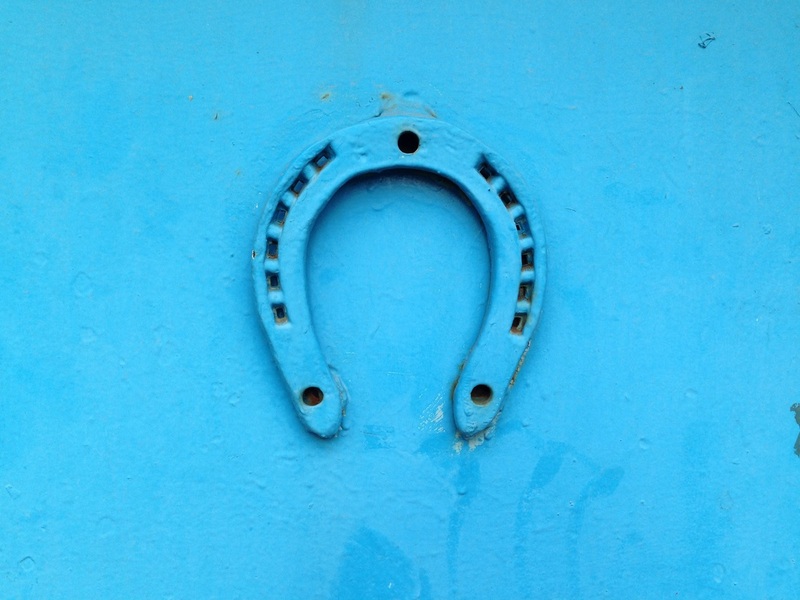 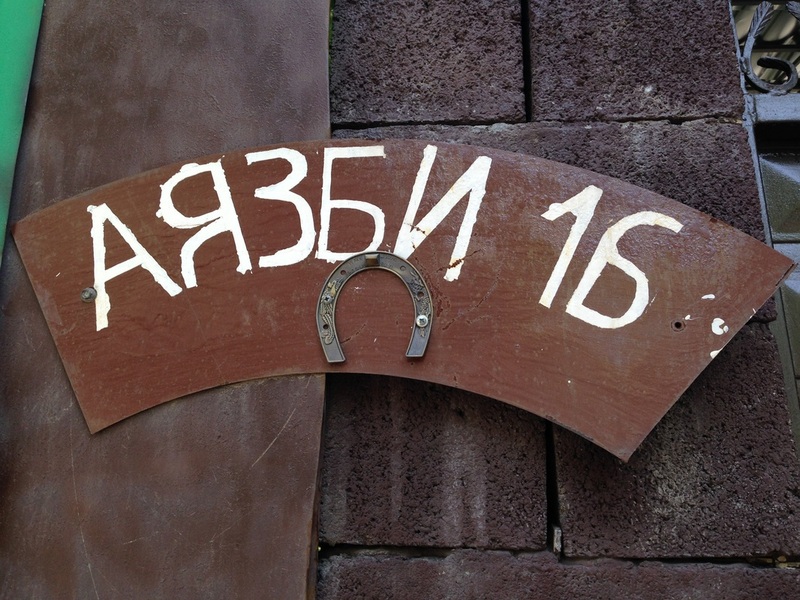 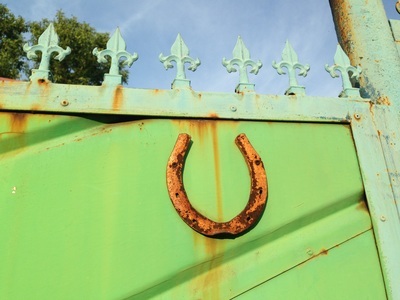 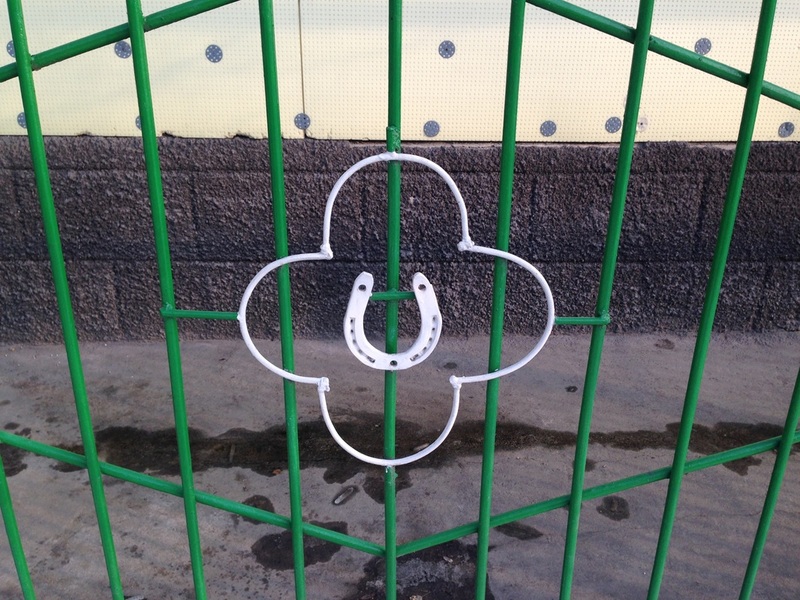 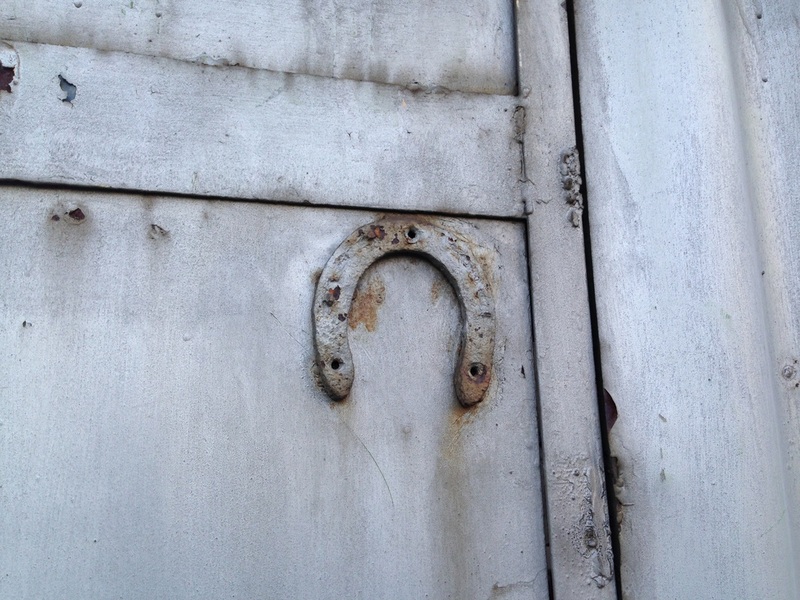 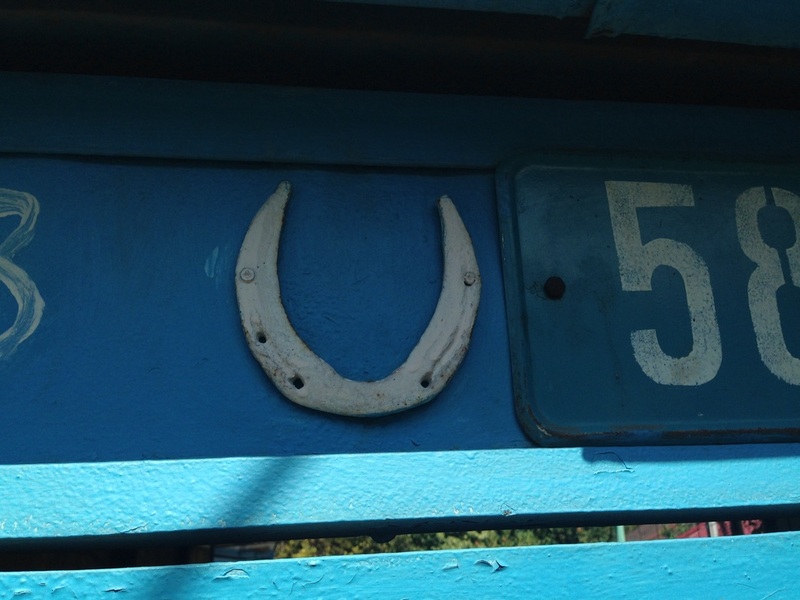 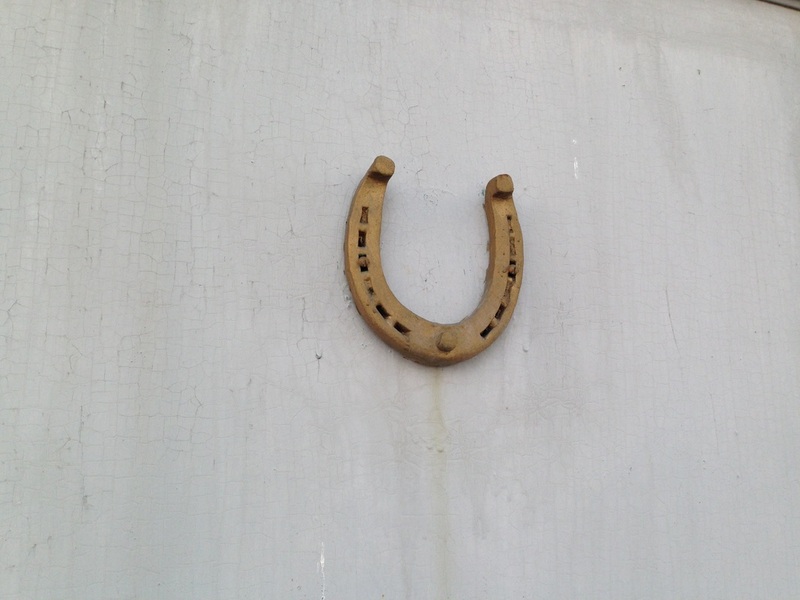 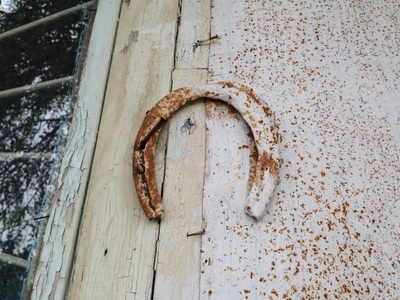 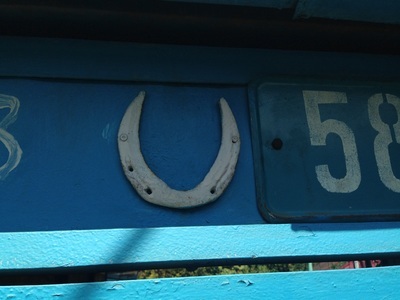 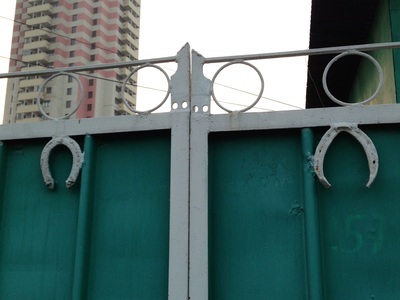 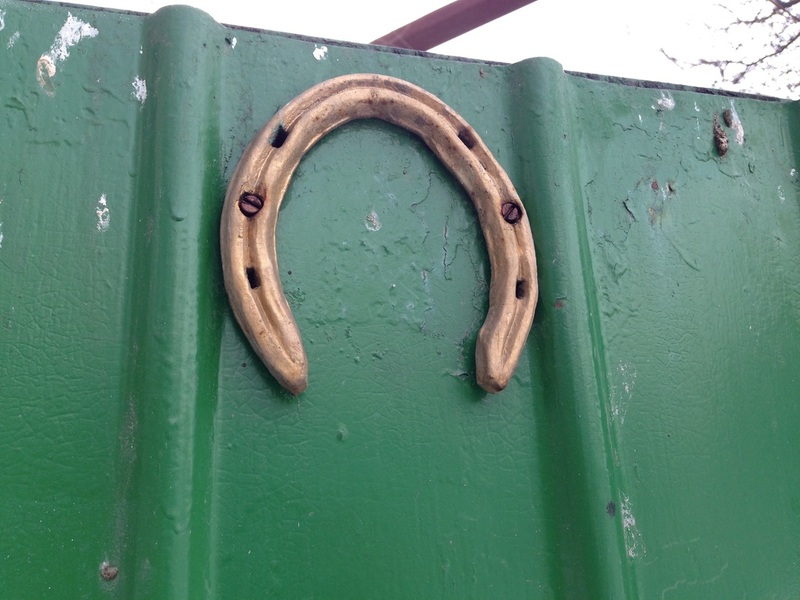 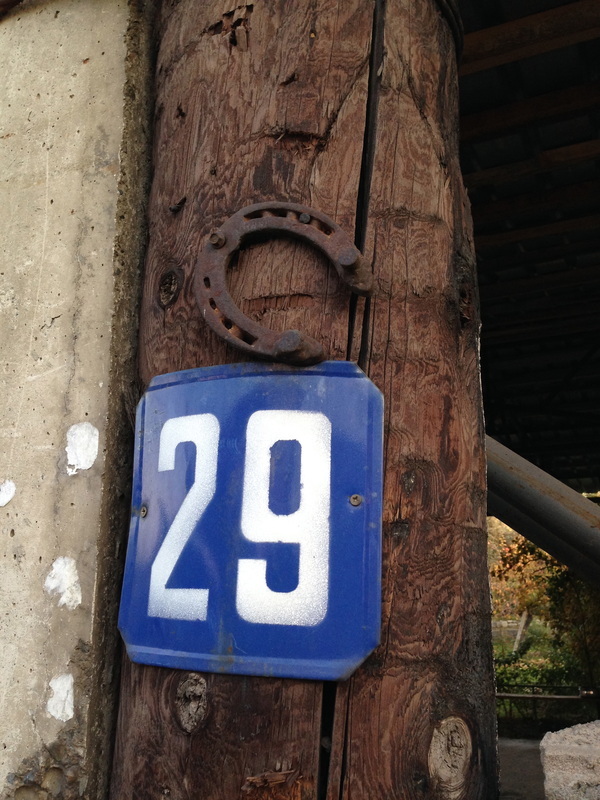 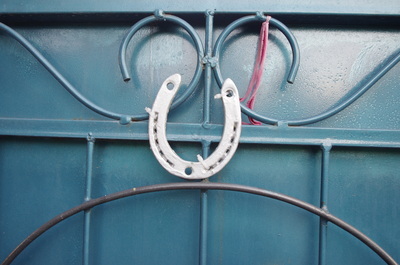 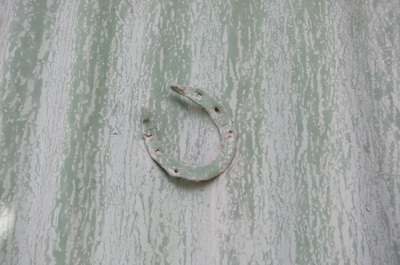 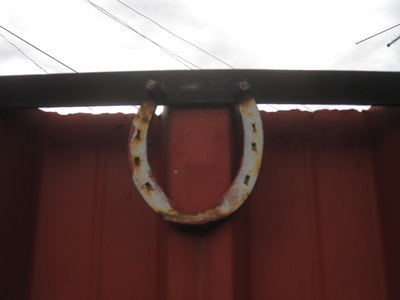 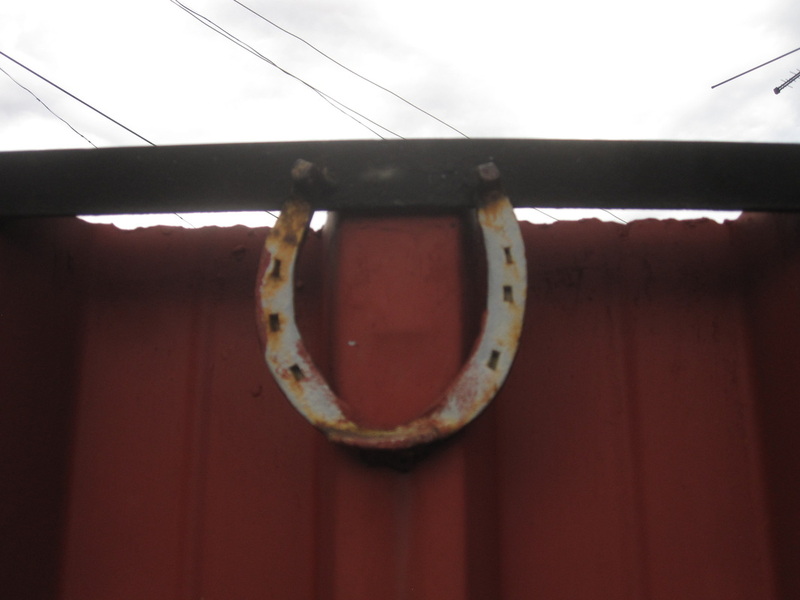 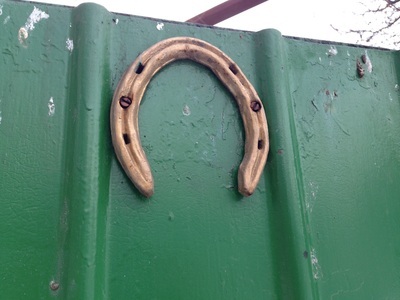 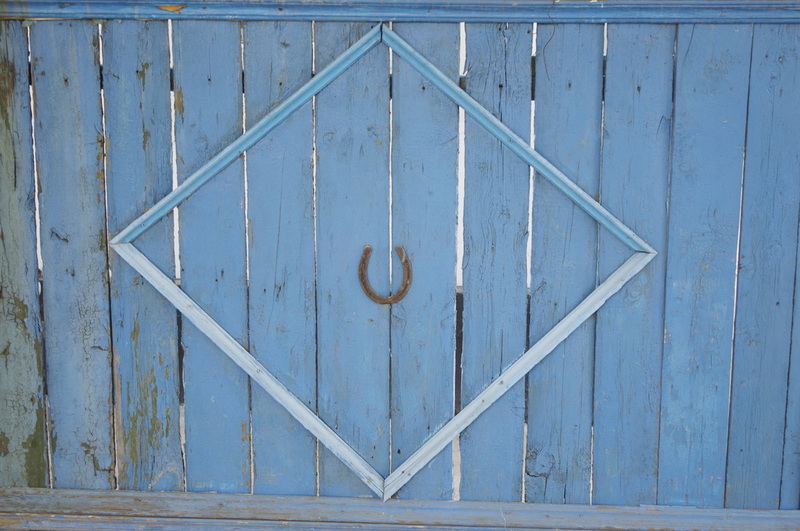 The horseshoe, nailed or glued to gates and doors, is one charm that most Westerners will be familiar with. 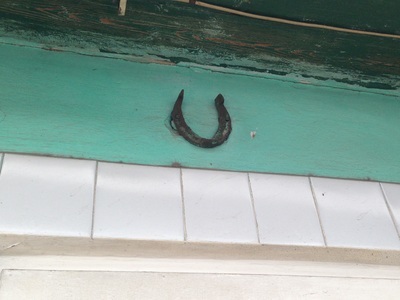 As an amulet, it's been used by cultures all over the world, and it all might be because of the smell of your blood. 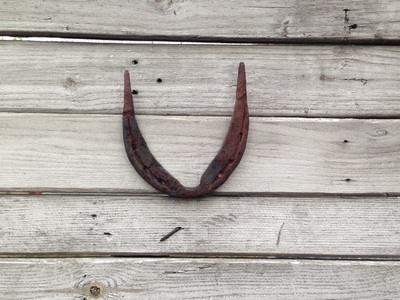 Blood is rich in iron and smells just like it, so iron has long been connected to notions of life and strength. Iron in various forms was thus harnessed to repel evil spirits, and horseshoes were often the most readily available source of the metal. 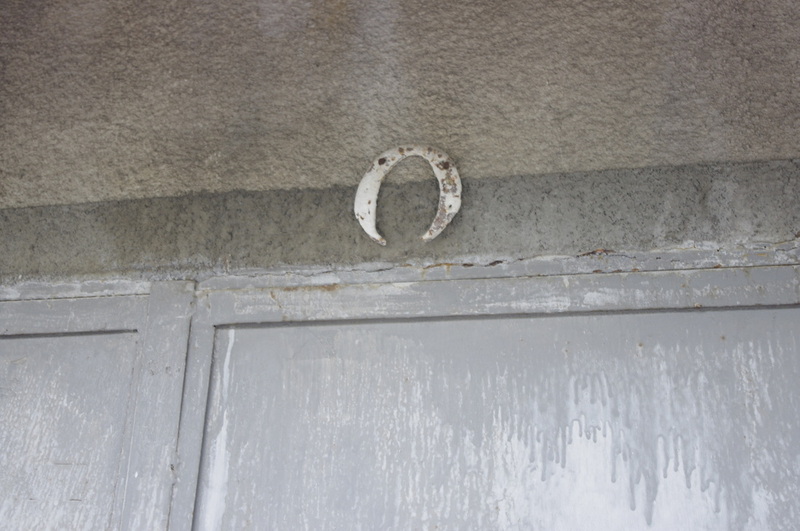 Kazakhs say "Yesikting üstinde tagha - üyge qorghau," or "A horseshoe on a door is protection for the home", but unlike in some cultures, there seems to be no preference as to whether the amulet is pointed up or down. 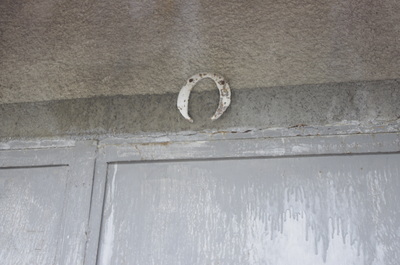 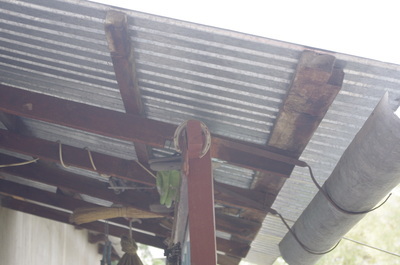 Pointed down, some people say, the luck can be seen to pour out onto the homeowner, or pointed up the luck can be imagined collecting inside the shape. 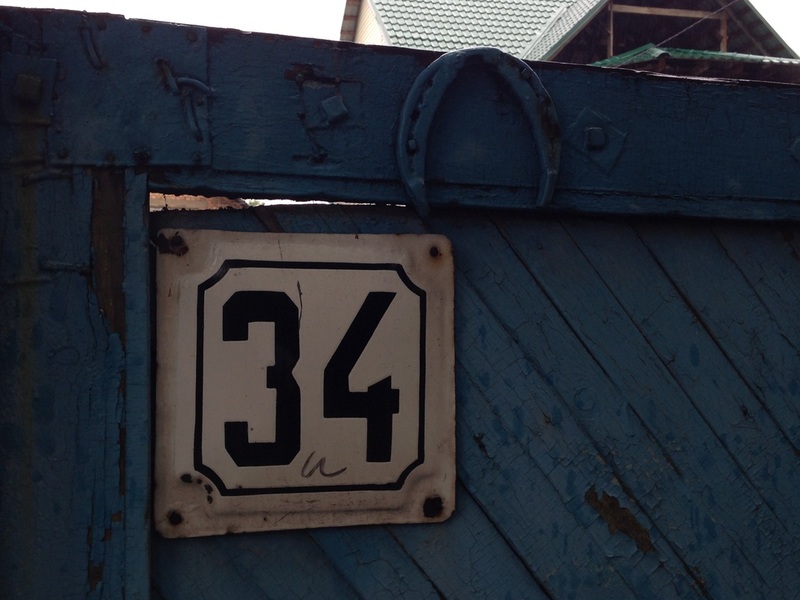 In Almaty, it's a grab bag, so the shoe itself is more important than which way it's stepping.